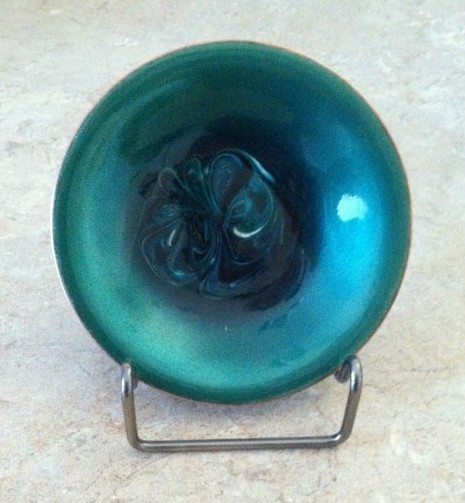 Copper enameling is the process of applying glass enamel/powder to copper metal. It is then fired at temperatures of 1450 – 1650 degrees in an enameling kiln to permanently bond the enamel to the copper. Glass when heated in a kiln, allows the glass to soften, with continued heat it will become more fluid and will flow together to create fused glass. Sometimes this is referred to as “Slumping”. Please join with us, and enjoy a new and exciting skill.